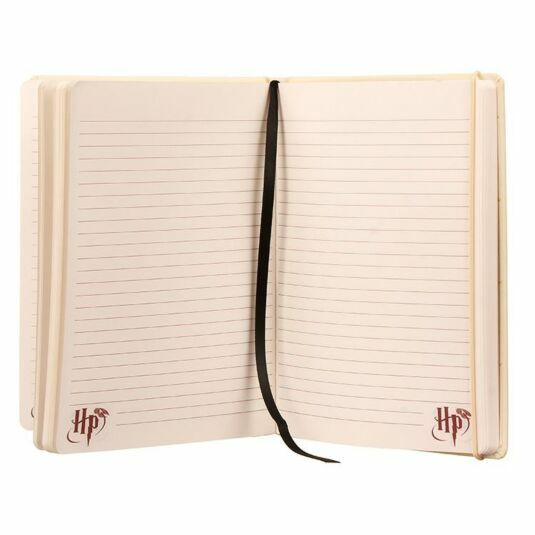 Prepare for the new year at Hogwarts with this platform 9 ¾ notebook. With enough room for your spells, potion recipes, and much more, this is the perfect gift for any Harry Potter fans out there, even muggles! 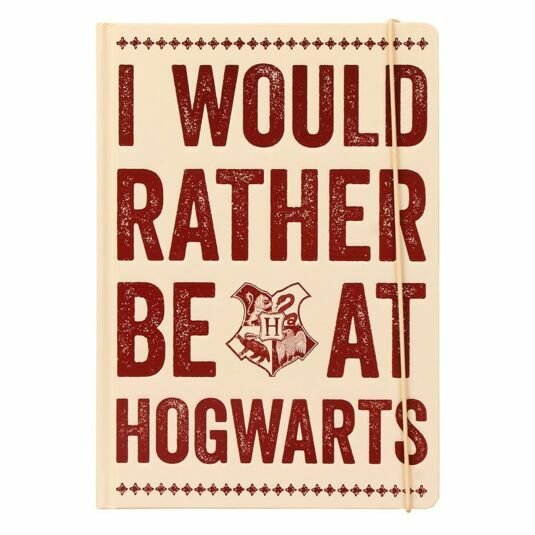 The debossed cover is a lovely cream colour, with the words ‘I Would Rather Be At Hogwarts’ decorating the front in a washed red font. Between ‘Be’ and ‘At’ is the crest of Hogwarts, resplendent with the four animals of the houses of Hogwarts. 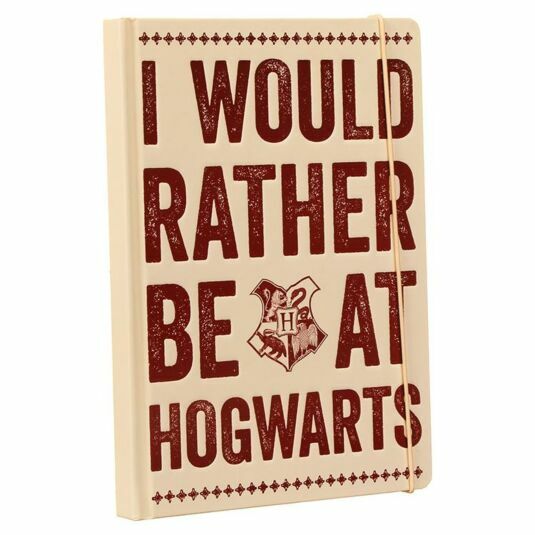 Let’s be honest, we would all rather be at Hogwarts, and this notebook can help us to celebrate that magical world, even if we can’t be in it! Each page is ruled, and includes the official Warner Bros licensed logo at the bottom. This 240 page notebook is a brilliant gift for any Harry Potter fans starting the new year at school, or anyone who needs a bit more organisation in their life. Brilliant for Christmas, birthdays, and more!